Read a recent history book. The U.S. had thousands of domestic bombings per year in the early 1970s. This is what happens when citizens decide en masse that their political system is corrupt, racist, and unresponsive. The people out of power have only just begun to flex their dissatisfaction. The day will come, sooner that you all think, when Trump administration officials will look back fondly on the time when all they had to worry about was getting hollered at at a Mexican restaurant. Of course, Lincoln in his Lyceum address begged to differ. 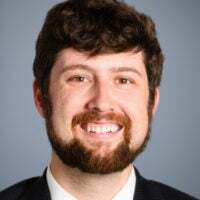 Some, even on the left, have been a little unnerved by calls for mobs, whether violent or nonviolent, to attack political foes in everyday life. 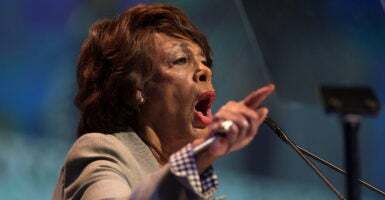 Her fellow Democrats have voiced some condemnation of Waters’ demand for mobs to harass political opponents. Much of this criticism has been muted, though. One would hope that mob law and mob justice don’t become the norm, but we’ve already seen a steady uptick in the mentality that leads to that point. We’ve seen it with the mobs that descended on historic statues to illegally pulverize them in the name of social justice. Now the mobs are coming for living people. This kind of ugliness is a bad sign for our future. Lincoln explained to his Springfield audience what could ultimately destroy the United States. “Shall we expect some transatlantic military giant, to step the Ocean, and crush us at a blow?” Lincoln asked. Passionate debates are good and healthy in a republic. There was never a “golden age of civility” when all Americans got along, nor should we necessarily desire one. Nevertheless, the ability to live together as free citizens in large part necessitates a respect for civil relations among us, where we look to persuasion and ballots to put our ideas in action, not brute intimidation of opponents. The constitutional system the Founding Fathers built is strong, but it can’t survive when citizens en masse are ready to come to blows with one another on a semipermanent basis, are ready and willing to gin up mobs to go after one another for political disagreements. That system shattered in 1860, and ended with the bloodiest period in our nation’s history. This sort of crackup may, in fact, be what some want, but it’s unlikely to end well for those who believe in free institutions in the United States.